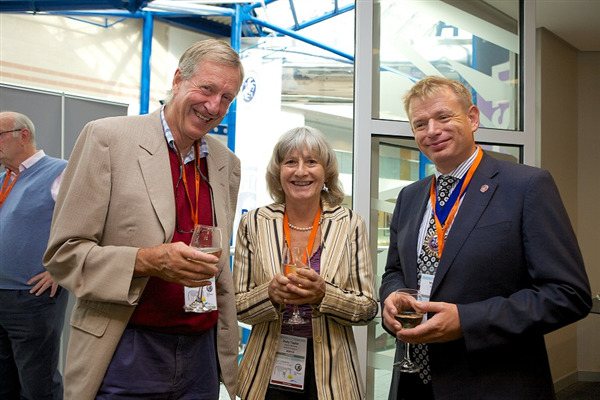 Honorary membership is given each year to one individual who has been recognised as performing notable services to the Charity or to the profession. Polly was one of three candidates put forward this year and her nomination was approved unanimously. Dr Polly Taylor has made significant direct contributions to BEVA and the equine sector through her position as Senior Advisor on the Advisory Council on the Misuse of Drugs (until 2010). Most recently she has supported BEVA’s health and medicines committee over the Home Office rescheduling of Ketamine and the proposed UN scheduling of Ketamine. In so doing, Dr Taylor has given BEVA considerable insight and advice in these areas helping to achieve the committee’s strategic objectives. Polly has a long term commitment to equine welfare, analgesia and anaesthesia having published more than 100 peer reviewed papers and contributed to numerous books and chapters on anaesthesia and analgesia. She has received numerous awards for contributions to equine science. Her recent contributions to equine analgesia and pain scoring are have had considerable impact the welfare of horses undergoing veterinary treatment and clearly aligned to the objectives of BEVA. She was founding President of the European College of Veterinary Anaesthesia (and Analgesia) and established the specialty of veterinary anaesthesia within Europe as well as past president of the Association of Veterinary Anaesthetists. She is a member of the independent Scientific Committee on Drugs. A 70s Cambridge graduate, Polly first worked in general practice where her special interest in anaesthesia began. She worked as anaesthetist at the Animal Health Trust and the Cambridge Veterinary School, ultimately as a University Reader in Anaesthesia. Polly became an ECVA Diplomate in 1995 and was the College’s founding President. Since 2002 she has worked freelance in anaesthesia consultancy, covering clinical anaesthesia, CPD, drug registration and research. She is a founding Director of Topcat Metrology Ltd, developing bespoke nociceptive threshold testing systems for studying analgesia.